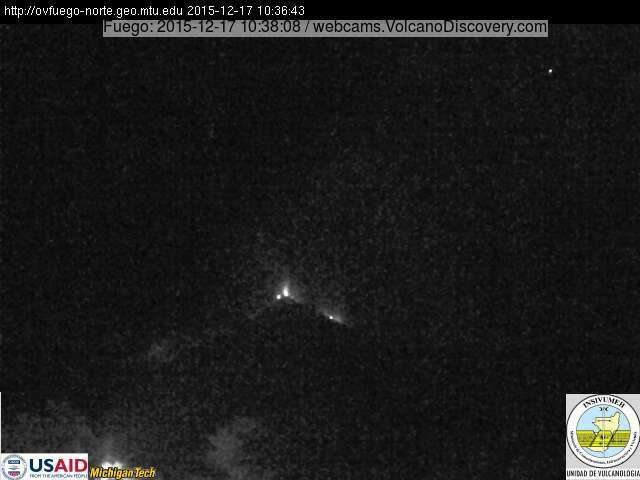 Egon (Flores): Seismic unrest has been detected at the volcano. On 15 Dec, VSI raised the alert level of the volcano from 1 to 2 ("waspada", watch), on a scale of 1-4. Fuego (Guatemala): Effusive activity increased yesterday, when 3 lava flows descended from the summit, reaching 1500 m length on the southern flank (Trinidad ravine), 1500 m on the SW flank (Las Lajas) and 1200 m on the western flank (Santa Teresa ravine). Dallol (Danakil desert, Ethiopia): We present a selection of photographs taken on the 23rd of November 2015 during our first Danakil volcano expedition of this winter season! What could be causing this gradual "dehydration" of the Dallol hot springs? Despite the fact there are currently 3 companies which will be extracting groundwater for the mining of potash from the local salts (used as fertilizer), neither one of them has actually started the production phase of their mining activities. So it is unlikely that they are the (main) reason for the slowly drying out of the Dallol hydrothermal field.